RSL Club Carpet Cleaning is our speciality here at PHJ Services. We’ve been professionally cleaning interiors of Gold Coast RSL Clubs since 1975. We love doing one-off or monthly carpet cleaning to keep your club compliant and your customers coming back for more. We clean carpets in shared areas; food areas; event spaces; conference rooms; reception; office spaces and more. We also professionally clean carpets, blinds and curtains; as well as upholstery such as chairs and sofas on an commercial scale. Ask about our specialist carpet stain removal services, upholstery cleaning, carpet repair services and post-renovation carpet cleans. RSL club, including dealing with insurers; water damage remediation; and mould remediation. We understand common causes of water damage in clubs can include faulty fire hoses; faulty plumbing repairs; flexi-hose bursts under sinks; clogged toilets; internal pipes leaking through concrete slabs and walls; or burst hot water systems, to name a few. You name it, we’ve done it. The havoc this can cause we understand can be large scale; including water damage affecting several floors and multiple areas at a time. In a storm situation we are also experienced in dealing with basement flooding, including sewage over-flows and sewage clean-ups. See more about our water damage restoration services here. IICRC – We have completed extensive training and are certified with the IICRC (Institute of Inspection Cleaning and Restoration Certification). Specific certifications we hold include: Applied Microbial Remediation; Carpet Cleaning; Repair of your Carpets; Carpet Inspection; Commercial Drying; Fire & Smoke Restoration; Floor Care; Health & Safety; Odour Control; Rug Cleaning; Upholstery & Fabric Cleaning; and Water Damage Restoration. Woolsafe – When it comes to cleaning and repairing wool carpets, we meet the highest standards in professional cleaning. Our WoolSafe Certification is testament to this. We are professionally trained in cleaning wool carpets and rugs and understand the best specialist approved products to use. So we’re the best company to call when you need your wool carpet or rugs maintained, protected or cleaned. ABRA – PHJ Services are Certified by ABRA and trained to an international standard in Bio-recovery cleaning services. We are the only Queensland company to hold this certification. 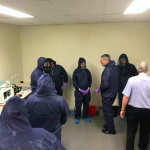 This means we are the best choice on the Gold Coast for a number of services such as crime scene cleaning, trauma clean-up, meth lab clean ups and restoration of suicide cleans. How Often do I need to Clean my Mattress?